The overall cost of Google Shopping depends on several factors. In this post, we’ll explain these factors and provide information on how to set a realistic budget for your ad campaigns (and determine if you should use Google Shopping at all). Google Shopping is based on an auction system in AdWords that rewards businesses who pay for ads at the right time. You can exercise tight control over how your budget is spent using tactics like ad scheduling, geotargeting, and device targeting. The average cost of Google Shopping is about $11 for every $100 in sales. This cost can be greatly reduced using PrestoSell. 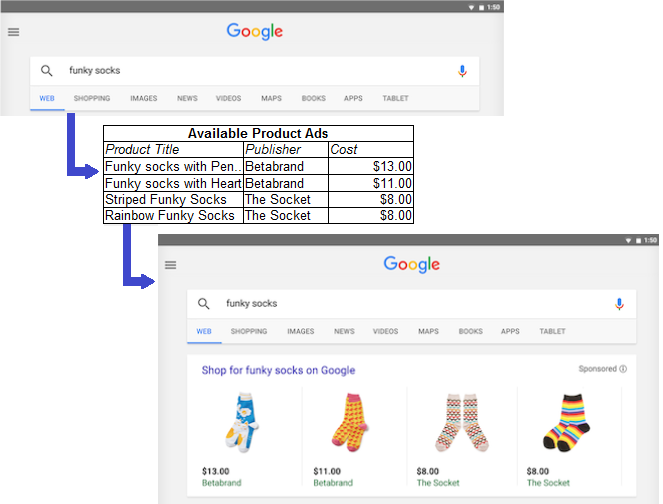 Before we start talking cost, it’s important that you understand how Google Shopping works on the Google AdWords platform. Google Shopping is one type of advertising campaign within Adwords. 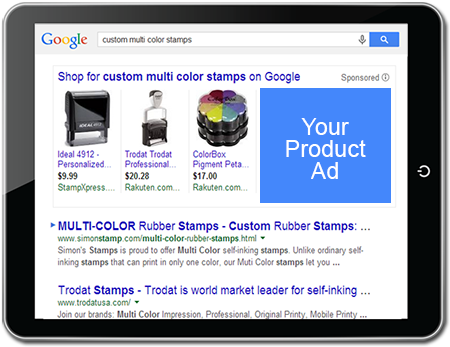 Google Shopping allows you to display your product information in product listing ads that display in Google searches. A common misconception about AdWords is that whomever spends the most money will automatically receive all of the search traffic. While spending more money never hurts, AdWords actually has several factors that help new advertisers. 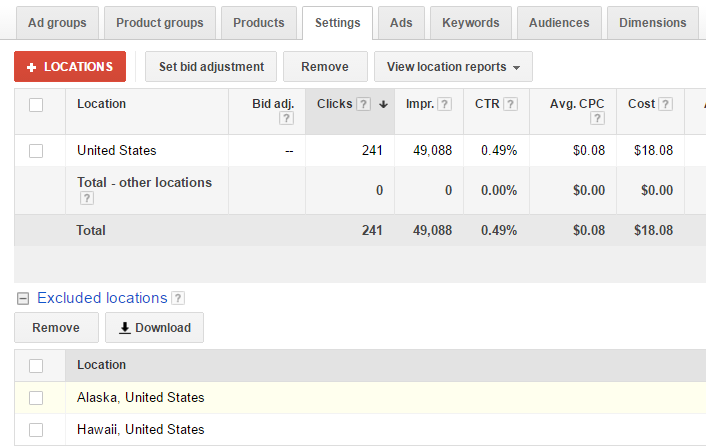 Google AdWords essentially functions the same as an auction. Let’s take a look at how this process works. The ad auction begins when a user enters a search query. 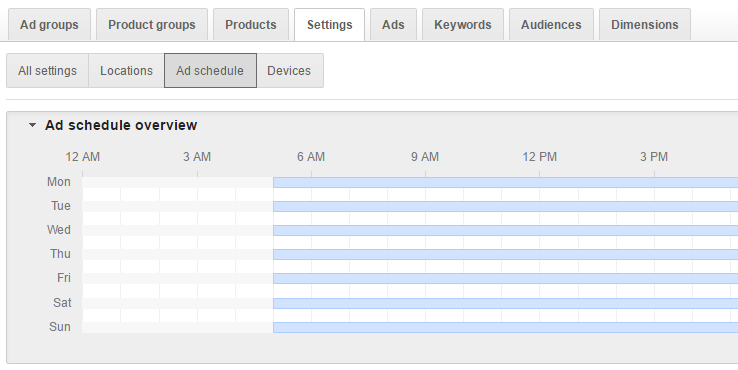 Google then determines whether the query contains keywords matching products that advertisers are currently bidding on. If advertisers have products containing some of the keywords in the user’s search query, the ad auction begins. The purpose of the auction is to determine Ad Rank, or where each ad will be positioned. The auction determines the inclusion and placement of ads according to the Ad Rank formula, which is based on two factors: maximum bid and product availability. How Does My Google Shopping Budget Get Spent? Often, new sellers will discover that their advertising budget gets spent much more quickly than they anticipated. Advertisers may assume their ad budget will last for a month, only to discover their small budget was quickly spent, sometimes in a matter of days. This can lead to the misconception that Adwords is prohibitively expensive. However, this isn’t necessarily the case, and more often than not is because the seller doesn’t understand how Google’s budgeting works. You can think of ad budgets in the same way you would about any other budget. You start with a core number that will represent the majority of your ad budget, and allow for a little leeway in case things change or something goes wrong. One way to start budgeting with Google Shopping is on a per-campaign basis. Each campaign should have its own daily budget. If you’re running several campaigns simultaneously, you should think about which campaigns have priority. For example, a campaign advertising your best-selling, high-profit margin products may be more important to your business than another campaign promoting less expensive products. You might want to allocate a larger daily budget to that high-profit margin products campaign. If you’re planning a monthly budget, all you need to do is calculate the breakdown of daily budgets for each campaign, and allocate your funds depending on the priority of each campaign. Ad scheduling is the practice of specifying when you want your ads to appear to prospective customers. Although your ads will still have to go through the ad auction process, you can tell Google when you want your ads to be displayed. Long gone are the days when customers searched exclusively from desktop browsers. Today, consumers are searching the Web across numerous devices (often at the same time), which means you need to pay attention to where your most valuable leads are coming from. This is where device targeting comes into play. Let’s say that you want to appear on results across both desktop and mobile searches, but that mobile traffic is more valuable to you. You could specify that a portion of your budget be used for desktop, but a greater portion be allocated to mobile devices. You may even want to devote more money to traffic coming from specific types of mobile device, depending on the items you’re advertising or your ad text. Setting a daily budget and understanding how it will be used are the most important aspects of budgeting for pay-per-click (PPC) advertising, but it pays to be aware of how advanced targeting options can affect your ad spend. Google Shopping Pricing: How Much Does a Typical Click Cost in AdWords? Some keywords are significantly more expensive to bid on than others, depending on how competitive the market is, and it’s important to realize this before launching a PPC campaign. Google Adwords provides recommended starting bids called “Benchmark Max CPC” for your shopping campaign. You can create a products breakdown within a campaign by product category, brand or other criteria to see bids at a more granular level. On average, the cost will be around $0.21 per click. However, in extremely competitive markets, clicks can get much pricier. Certain product categories can demand over $1.00 per click. For most retailers, advertising costs with a Google Shopping campaign cost on average about $11.00 for every $100.00 in sales. Compared to other marketing channels, Google Shopping campaign costs are extremely low, much lower than the flat fees charged by Amazon in their marketplace categories. However, PrestoSell can optimize your Google Shopping campaign to reduce these costs by as much as 50% (as low as $5.00 for every $100 in sales). If you’d like to know more about how to save money on your Google Shopping campaign, and what costs are involved, please contact us for more information. We are here to help!